Police and Army bosses have been criticised for failings leading up to the death of a stalking victim at the hands of her soldier ex-boyfriend. Trimaan Dhillon cut 24-year-old Alice Ruggles' throat after breaking into her Gateshead flat in October 2016. A review has found Northumbria Police and the Army failed to properly address signs of L/Cpl Dhillon's jealous and obsessive behaviour. Dhillon, 26, was jailed for a minimum of 22 years after a trial last year. A domestic homicide review, carried out by Gateshead Community Safety Board, concluded Miss Ruggles was subjected to "significant stalking" and that Army officials failed to record a previous domestic assault charge against Dhillon in Kent. 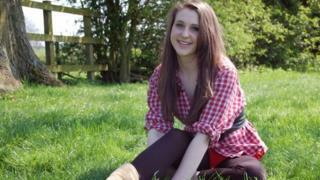 The review heard Miss Ruggles, who was originally from Tur Langton, near Market Harborough in Leicestershire and worked for Sky, had contacted Northumbria Police about Dhillon's stalking in the days before her death. In one a call handler asked Miss Ruggles if she wanted him to be arrested, but she declined. The review found police should have made that decision and it should not have been left to the victim. The review noted that a police officer did contact Dhillon's barracks in Edinburgh and spoke to a superior, but not Military Police or Police Scotland, and Dhillon was then told by the regiment to stop contacting her or face arrest. But he ignored the warning and eventually drove 120 miles to Tyneside to murder Miss Ruggles. The report concluded: "The perpetrator's willingness to travel provided an indication of the level of his obsessive behaviour that was overlooked. "In addition, there was a lack of clarity about the roles and responsibilities of the Home Office, police and armed forces, which led to some confusion about how best to deal with the perpetrator." The review made 20 recommendations, including making it an offence to threaten to release intimate photos of an ex-partner, as Dhillon did when Miss Ruggles called off their relationship. It also urged the Home Office to review the effectiveness of the police 101 non-emergency number, after it emerged Miss Ruggles abandoned a call to Northumbria Police after being kept on hold for almost seven minutes. The review described the incident as a "missed opportunity to support Alice". Last year the the Independent Office for Police Conduct (IOPC) said two Northumbria officers had cases of misconduct to answer while another had performed unsatisfactorily. It also found the force treated the matter as harassment rather than stalking. The force has since apologised to Miss Ruggles' parents, Sue Hill and Clive Ruggles. The review also called on the Home Office to review the legality of spyware after concerns about the ease in which Dhillon was able to hack Miss Ruggles' social media accounts. Responding to the report, Ms Hill and Mr Ruggles said: "Alice died in tragic circumstances and it is important that failings are acknowledged, lessons learned, and improvements made. "We hope that the Army will now realise that they have an important part to play when one of their soldiers is accused of criminal behaviour against a civilian and, like other agencies, will proceed to learn lessons from Alice's case." Brigadier Christopher Coles, head of Army personnel services group, said: "We are committed to tacking domestic abuse and last year launched a strategy to help prevent domestic abuse in all its forms. Northumbria Police's assistant chief constable Rachel Bacon said: "With the help of Alice's family we are now leading the way in training officers in the best way to deal with these types of offences.